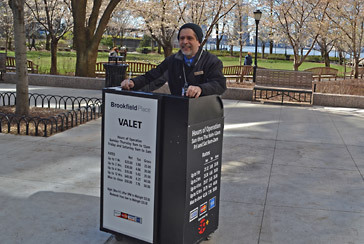 Parking.com has convenient parking for Brooklyn Bridge Running Tours. 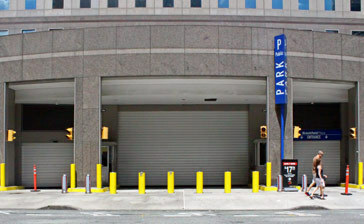 Click on the map shown below to find parking near the meeting location. 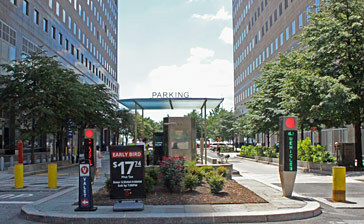 Online reservations are available for select parking locations. Simply click on the 'RESERVE' button to pre-purchase a guaranteed spot. 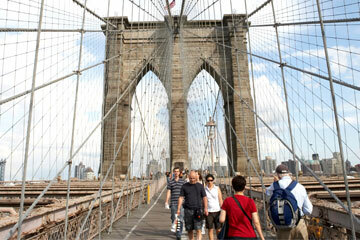 City Running Tours hosts a Brooklyn Bridge running tour every Friday at 7 AM. The 4-mile run takes visitors across the iconic Brooklyn Bridge and back on the Manhattan Bridge, then through the streets of NYC's Financial District. The meeting location for the tour is located at the Woolworth Building (233 Broadway).